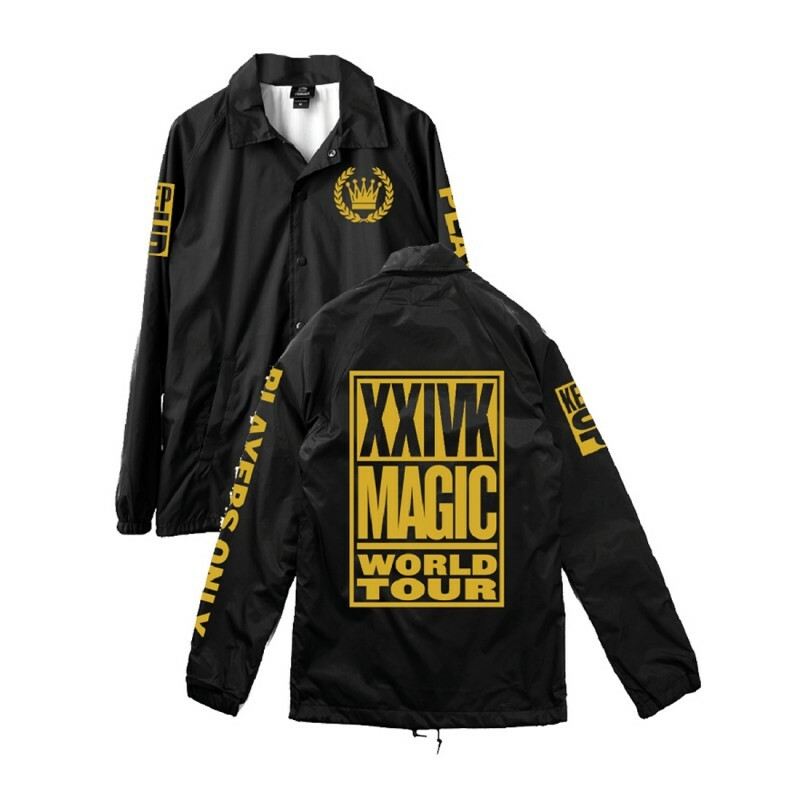 The black and gold 'Players Only Tour Jacket' features the crest logo on the front and XXIVK Magic World Tour centered across the back. Design also features 'Players Only' printed along the left arm with 'Keep Up' on the right. Beimar brand coaches jacket with button front enclosue, elastic at the wrists and drawcord at waist.